A Lover’s Concerto is an original song that is based on Bach’s “Minuet In G Major”. The simple Bach piece first caught Denny’s imagination at around age 7 during a short stint of piano lessons and left a lasting impression. Over the years Denny thought about writing a pop song inspired by the piece. But it would be many years from the time he first played the Bach piano piece before he would actually finish “A Lover’s Concerto”. Denny had already constructed the song musically before the lyric was written. 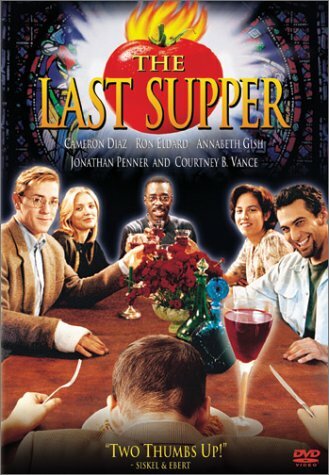 Denny’s title, “A Lover’s Concerto”, never repeated in the lyric, was inspired by both the classical style of the music and his concept for the lyric, which was to be a kind of romantic poem for lovers and which Denny later invited Sandy Linzer to collaborate on with him. The original hit record, of which Denny was a producer, was produced independently. In making the record, Denny recalls: “I wanted the snare to have both a full sound and an edge to the impact, but without having to whack it too hard. So the day before the session I went down to Sam Ash Music and picked up a pair of parade drumsticks with big round wooden heads over an inch in diameter that are never used for recording. After the record was turned down by the all he major labels and top independents as being too different (and strange), Denny finally brought it to Bob Crewe for his fledgling Dynovoice label. Denny and Bob were already working together as song collaborators and with Denny’s arrangements for The Four Seasons and others. The artists, a three-girl vocal group (renamed “The Toys” before the session), were originally brought to Denny (when he was searching for the right group to sing “A Lover’s Concerto”) by a friend of several years who was an aspiring talent manager. 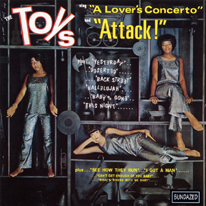 After becoming a major hit, the Toys version was quickly followed by a number of cover recordings by R& B, pop, jazz and other artists. These included Diana Ross and the Supremes’ version (on their “I Hear A Symphony album”) and then Sarah Vaughn’s hit Mercury Records recording (produced by Quincy Jones), which again put the song on the Billboard Top 100 and introduced it to many additional radio formats and audiences. Since then “A Lover’s Concerto”, now a worldwide standard, has continued to be recorded by various artists of many different styles. In 1998 the song was a big hit again in Japan, Korea and China by Kelly Chen.